Your dog is licking its paw because it’s paws areirritated. Your dog is licking the area to releave themselves of the problem. However, they are creating a better environment for bacteria to grow, causing more problems. For the health of your dog, action should be taken to help cleanyour dog of these irritants. 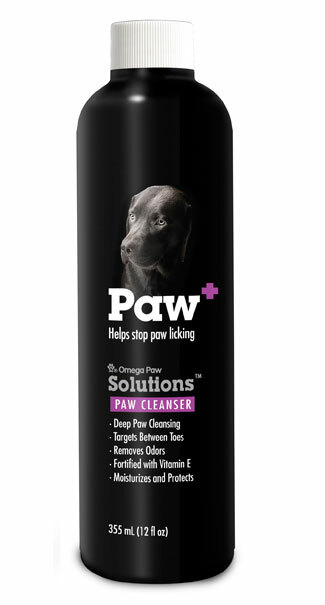 Paw+ is specially formulated to target your dog's itchy, irritated paws. The deep cleansing abilities of Paw+ will help stop the constant licking and biting, bringing soothing relief to your dog's discomfort. Paw+ is fortified with vitamin E and a moisturizer to further protect the health of your dog's paws. All Rights Reserved and Copyrighted 2010 by Omega Paw.